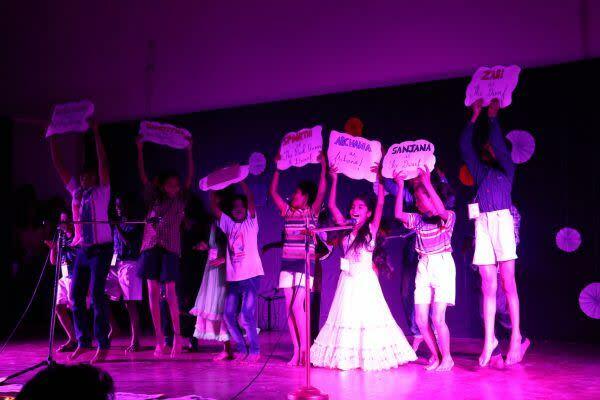 "There is theatre in life, obviously and there is life in theatre"
Dramebaaz is an initiative started by Teach for India fellows that uses theatre to empower students with the essential life skills to become confident and creative agents of social change. 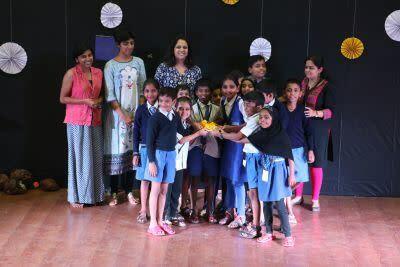 This year, 250 children from 18 low-income schools in Bangalore will get a chance to showcase their plays on stage.These children are mentored by Teach for India fellows teaching in the schools and also by theatre experts periodically. 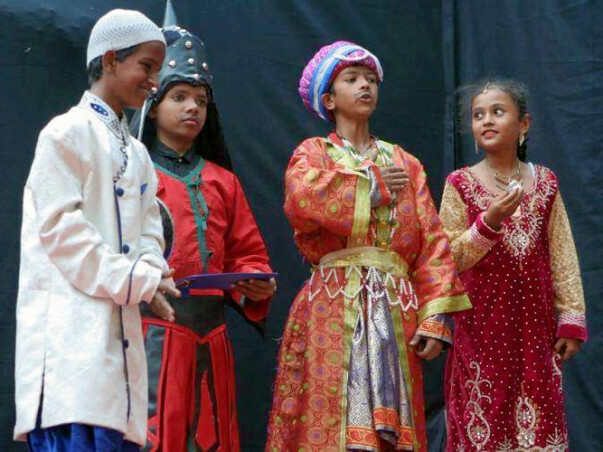 What is unique about this children theatre festival? The complete ownership from script writing to characterization to prop designing to acting is with the children. Its their sole creation that goes on the stage.The mentorship during Dramebaaz is designed in order to render four very important life skills to children- Problem-solving, Collaboration, Confidence, and Self-esteem. These skills are periodically self-assessed with the help of a student-friendly rubric ensuring children reflect on their learnings. Your funds will bring a smile on 250 little faces : How you ask? The children will be given an opportunity to showcase their plays at a final event in Bangalore. Your funds will go towards organising that event. Prasanth Nori and Soumya Kavi co-founded Dramebaaz in 2015. During their Fellowship with Teach For India, they saw a lot of potential in teaching children using theatre and hence started Dramebaaz. Rohit Balakrishnan is an engineering graduate from M.S.Ramaiah Institute of Technology and a performing musician who has been practising music for the last 16 years. He has also co-founded a student-mentorship project for kids from low income school called The Khvaab Project . He is currently pursuing his second year of TFI fellowship in a Government school in Bangalore. On Sunday, December 4th, an audience of 400 people witnessed magic. They witnessed that anything is possible. They started to believe that where a person comes from does not dictate where a person goes. They experienced a range of emotions from joy, sadness, pride to anger. On Sunday, December 4th, they saw, 285 children from underprivileged backgrounds perform 22 plays. For all these children, it was the first time on a stage. Did it seem that way? No. They owned the stage like their own. They were there to share their stories. To tell the world that they see and experience domestic violence, alcohol abuse and religious intolerance. The fact that they wrote their own scripts speaks volumes of how far they have come and how far they will go. It was a day that was memorable for everyone involved and a culmination of all the efforts put in by the kids over three months. And one that people will not forget in the near future. We, from team Dramebaaz would like to thank everyone for their support, blessings and wishes.